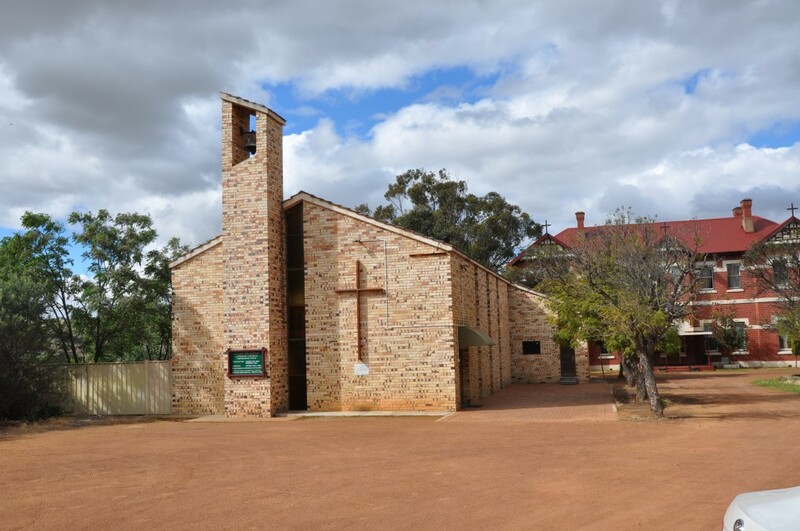 St John the Baptist Parish in Toodyay will celebrate its 50th anniversary on November 17 with a Mass celebrated by Archbishop Timothy Costelloe SDB at the St Pio hall located on the church grounds. The Catholic church in Toodyay traces its roots back to Santa Maria, the first Catholic church built in 1858 by Canon Raphael Martelli. However, the town situated in the Avon Valley, some 66km from Perth, moved upstream due to the constant flooding and the Church was granted land at the far end of the town which is the entrance to Toodyay today. It was on this land that the foundation stone for the new church called St John the Baptist was laid in January 1863 by Bishop Martin Griver and subsequently blessed during Christmas 1864. One hundred years later in 1963 parish priest Fr John Chokolich decided to relocate due to the poor state of the church and the construction of the Standard Gauge Railway. A site was selected in front of what was then the Convent of Mercy and after a lengthy process of fundraising and gaining support from local businesses and the Shire, the building of the new church began. On November 17, 1963 the new church was opened and blessed by the Auxiliary Bishop of Perth, Myles McKeon. With the milestone celebrations approaching, parish pastoral council secretary and organiser of the celebrations Greta Sauta said many people have been working hard in preparation. “The ladies have done an awful lot of work and will continue to do so on the day; I’m so appreciative of the people who have been involved,” she said. The Franciscan Friars of the Immaculate are also involved in the Toodyay Catholic community with the story of the Friary dating back to the late 1990s. According to Toodyay parishioner Veronica Dymond, Archbishop Barry Hickey met the Friars’ leader in Rome. “He told him that we had a convent which had recently been vacated, and he also said it’s close to the city; so two priests and one brother arrived, they had no motorcar and the convent wasn’t ready to live in, it was quite a shock,” she said. Since their humble beginnings in Toodyay, the Friars have settled in nicely, offering their assistance to the parish and church whenever needed. Both the Friars and the Sisters of Mercy will be acknowledged for their contribution to the parish at the anniversary Mass. The first Mercy sisters arrived in Toodyay in 1884 and lived upstairs in a two-storey house before buying a bungalow which is now located at 94 Stirling Street. The sisters used their bungalow as a school and taught music and forms of embroidery. The Sisters of Mercy left Toodyay in 2003 to be closer to medical facilities, due to their advanced age. “There will be quite a lovely affirmation of them during the Mass,” Mrs Dymond said.